Finally we’re seeing a LOT sun of late, which for me is a reminder that summer is here and new sunscreen needs to go on the shopping list on the regular. Whenever I’ve asked beauty experts – be they dermatologists, make up artists or cosmetic surgeons – for their pick when it comes to anti ageing skincare, they all agree that the most important thing you can do to keep your skin looking good well into old age is wear a sunscreen. Daily. No arguments, no forgetting on a cloudy day, no saying, “my olive complexion is a sunblock in itself”! Most last twelve months max after being opened too, so if you’re still got some sitting around in your beach bag or glove box from this time last year then chuck it - ASAP! I couldn’t cover suncare without reiterating once again how awesome the COOLA brand is. This is the baby that I recommend to anyone who asks me advise on sun protection for their whole family, and that fact that their products are a seemingly effortless mix of high performance and beautiful to use formulas makes them loved by everyone who tries them. A beautifully packaged collection of organic sun essentials produced out of Southern California, the COOLA range includes a plethora of yummy products that are high performance yet delicate and kind on the environment. It is produced in limited quantity batches in California (where the company is based), meaning that the range can be reformulated often, taking advantage of new developments in sun science and labelling regulations almost as they happen. French beauty brand Guinot also offer beautiful, sun-focused formulas for the new season, one of my favourites being the Guinot High Protection SPF30 Spray, which is a sun-protecting spray with full broad spectrum protection that also happens to smell like pure vanilla. Seriously! It is a paraben free formula and the light formulation doesn't leave white marks or a sticky residue, and an added bonus is the 360-degree spray nozzle for covering off those hard to reach places. 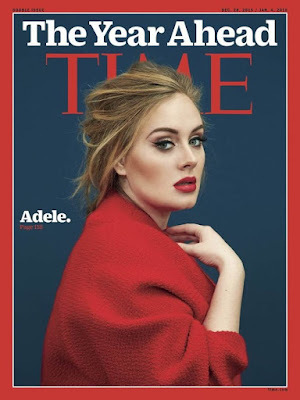 As befitting an award-winning skincare brand, its ingredient list include the likes of Heliotropine - a molecule which helps to prevent the appearance of brown spots - and Litchi extract, which is derived from a tropical fruit found in southern China and helps to protect the skin against photo-aging. Horse Chestnut and Seaweed extract are there to soothe and combat redness, whilst Hydrocyte Complex is a blend of sugars that help to deeply moisturise the skin. The second Guinot offering I love is the very French Glamour Sun Gel SPF15, which is a gel formulation with a light and silky satin oil finish that works to protect against UVA and UVB rays as well as promoting even tanning. It leaves skin smooth and nourished, while light-reflecting particles leave a gentle gleam… this baby really makes you glow! Lastly, on the supermarket front, Garnier Ambre Solaire Sensitive Advanced is the popular European brand’s most effective offering, and features Sensitive Advanced Adults SPF 50+ for those that find many suncare options too harsh for their skin. As well as absorbing more than 90 per cent of total UV rays, it is hypoallergenic, with no perfume and no colourants and dermatologically tested. It is available as a water resistant lotion or spray, and they also offer a lotion and a spray in this range for kids whose skin is too sensitive for their traditional Resisto range. 1. “Beautifuly crafted, locally produced face oils that actually do what they say” is how I describe my favourite products by Tribeca Skin Tonics. The small collection is the creation of holistic facialist Ashleigh Scott, and hand-blended in small batches in New Zealand. This artisanal skincare approach means quality ingredients with a hint of luxury, and feeding the skin with the best plant botanicals to promote healthy, balanced skin. They are created with 100 per cent natural ingredients (certified organic where possible), and without nasties. 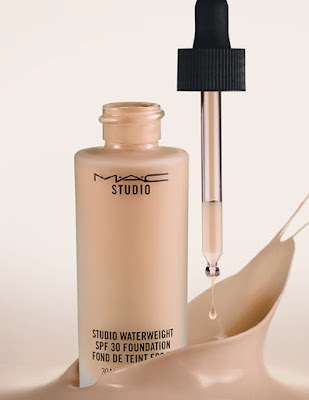 Models swear by them, every make-up artist I know has one in his or her kit and with their no-rinse, three-in-one formulas they're perfect for travelling and late nights. What are they? Micellar waters, and I for one have been a long time fan. Designed to be swept away with a cotton pad rather than rinsed off, micellar waters use tiny micelle particles to draw make-up (including waterproof mascara), sebum and impurities from the skin. Depending upon how much make-up you wear you may prefer to remove eye make-up separately, but since micellar waters are free of soap and alcohol they are a way more gentle alternative to harsh face wipes, making them perfect for when you're in a rush or on the go. Co-washing and cleansing conditioners - chances are you've probably never heard of them but soon will. What started as a process mainly embraced by those with curly or textured hair is expanding to a wider range of strand types, and the first that I know of has just hit New Zealand and is from Pureology. But what is a cleansing conditioner, exactly? It's made for cleansing (obviously), just like shampoo, but without the harsh sulfates, detergents, or chemicals typically found in one. It's formulated in a way that leaves the hair and scalp feeling clean, but not stripped, and with an added moisturising element. When someone told me that floating in a tank could possibly be the ultimate in relaxation and healing, I admit I was sceptical. Hopeful yes, but still suspicious! That was until I tried it, and discovered the wonders that a good float in a great pod can do. Floatation Therapy is based on a scientific approach to deep relaxation called Restricted Environmental Stimulation Technique or REST. Floatation REST restricts or eliminates all of the external stress-factors or stimuli that normally affects us every day. Floating in complete darkness and silence liberates large areas of the brain devoted to processing sensory information, further increasing the depth of mental relaxation. While floating the brain slows down into theta waves, the brain wave state of tranquillity, creativity and very deep relaxation. Check out the float tanks at White Spa – put aside the scepticism and I reckon you’ll love it. Hand blended in small batches; local skincare company Martina Organics describes itself as “an artisanal skincare range” using certified organic ingredients. 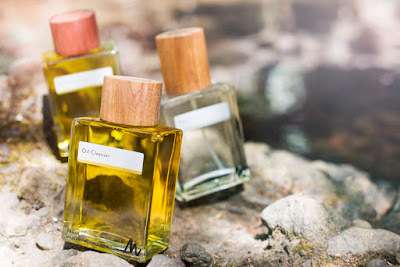 Selected from both New Zealand and more exotic locales like Morocco, Japan, Africa and Israel, their botanical oils harness the power of plants that have been used for hundreds of years and they feel like heaven on the skin. 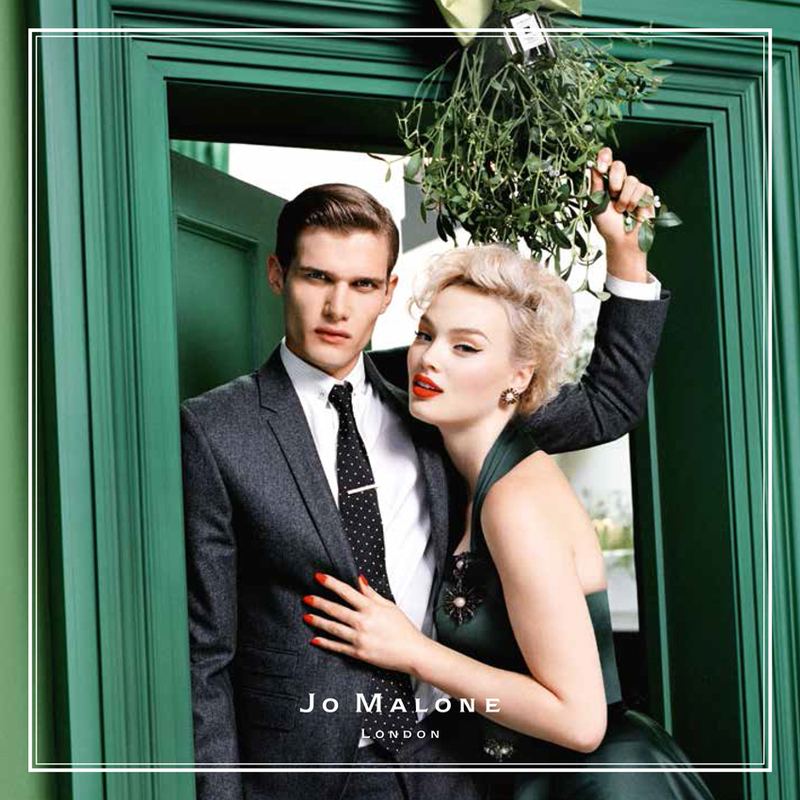 The range is unisex and comes packaged in unassuming glass bottles with minimal labelling, which is then easily peeled off so the bottle can be re-used for whatever you fancy. The Beauty Elixir range has been created by Holistic Facialist Romy Grbic, who works in Jervois Road under the name redox beauty. She has chosen to use only pure, organic and cold-pressed oils in her boutique range of skincare products, giving you a powerful dose of antioxidants, vitamins, minerals and other vitality-boosting ingredients for your skin in every drop. No fillers, no preservatives and no added chemicals. Simply pure, luxurious, botanical ingredients that love your skin. How great is that? 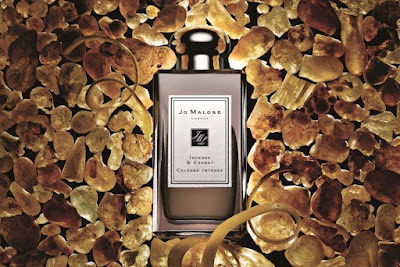 Jo Malone London’s Incense & Cedrat Cologne Intense line, which tend to take more masculine notes as their base and are gloriously unisex as a result. Incense & Cedrat was inspired by Omani incense, which is harvested from the Boswellia sacra tree. 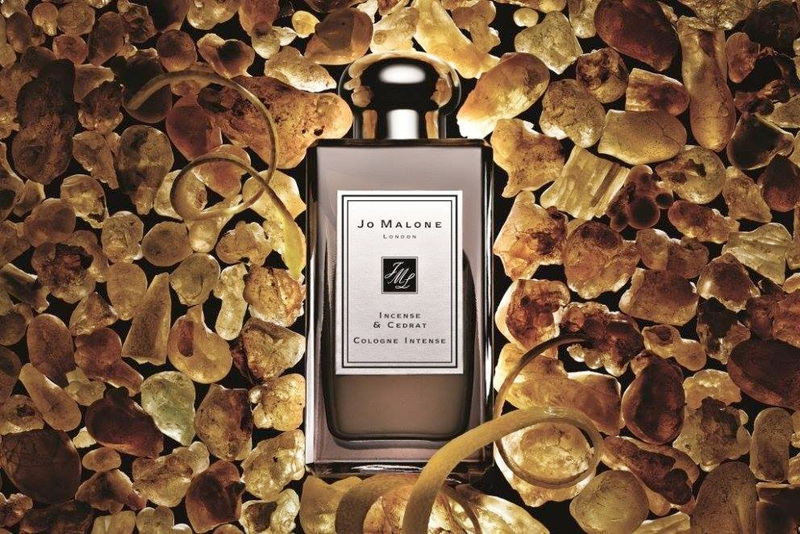 Marie Salamagne, the perfumer who created Incense & Cedrat, said that Omani incense has never been captured before. 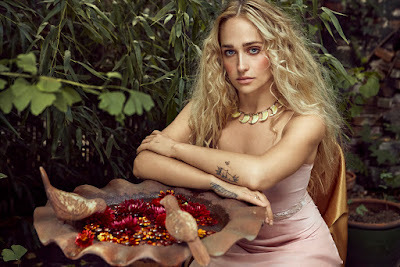 She used the NaturePrint™ technique to help it make its way into the perfume, and it comes surrounded by lemon, pepper, elemi, labdanum and benzoin. I’ve always loved Lancôme’s original Hypnôse mascara, pretty much from the day it launched. And while there have been several follow-up versions – as in Doll Lashes, Drama and Star to name but a few - I always considered the first to be the best for my needs and went through tubes and tubes of it as a result! Then along came a sample of Lancôme Hypnôse Volume-à-porter (launching in New Zealand in February) and WOW. They call it a “cashmere sensation volume mascara” and as a fan of a) cashmere and b) great mascara, I have to say I was intrigued. Impressive! So far I have found the brush really easy to use and it helps to curl up my lashes really nicely - no curlers required even with very straight lashes like mine. It is also easily buildable, and the formula is a true jet black and super dries fast. If you get any on the skin above or below the lashes you can just shift it with a cotton bud once it’s dried, but so far I have had zero fallout – claps to that! I love the look of a faux lash even when a set hasn’t been applied, but also hate the feel of too much product on my eyes – as do my contact lenses! This therefore is the ideal solution and I can’t recommend it more. 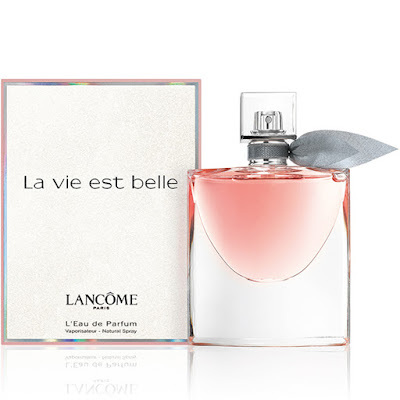 Thanks Lancôme! Having dry, eczema prone skin on and off all of my life, I am always up for a super hydrating body cream or oil to use all year round. I have some faves that are on high rotation, the criteria being: super nourishing, quickly absorbed and fragrance free. I love a beautifully scented product as much as the next person, but when I’ve selected a scent to wear for the day or night I don’t want a moisturiser that will compete with or overpower it. So with all that in mind, I have just added a new face to the mix in the form of Oasis Beauty The Hydrator. Designed to “quench your skin’s thirst with deep long-lasting hydration and nourishment”, is an everyday unisex moisturising superhero packed with all the good stuff and none of the bad. In its heady mix is avocado oil to nourish, shea butter to hydrate, Manuka and Honeydew honey to soothe and vitamin E to helpfully assist with premature ageing. It has a lighter than air texture that absorbs quickly to lock in vital moisture, and it is suitable all skin types, including those with sensitive skin. Brilliant! I think it will make for a brilliant after-sun soother when the mercury really starts to rise, as well. It is also very fragrance neutral, which is a bonus if you have super sensitive skin or have a little Jo Malone or Giorgio Armani number lined up to spritz on after application. “Summer beauty is all about keeping it simple and hydration is the key – eight glasses of water a day and lashings of moisturiser!” says Stephanie Evans, Creator and Director of Oasis Beauty, and I second that for sure. Welcome, new summer skin essential! 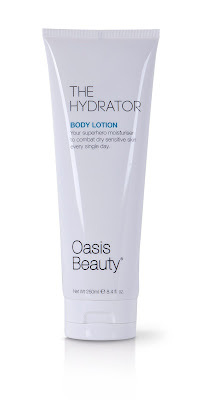 Oasis Beauty The Hydrator has an RRP of $29.90 (250ml) and is available now. 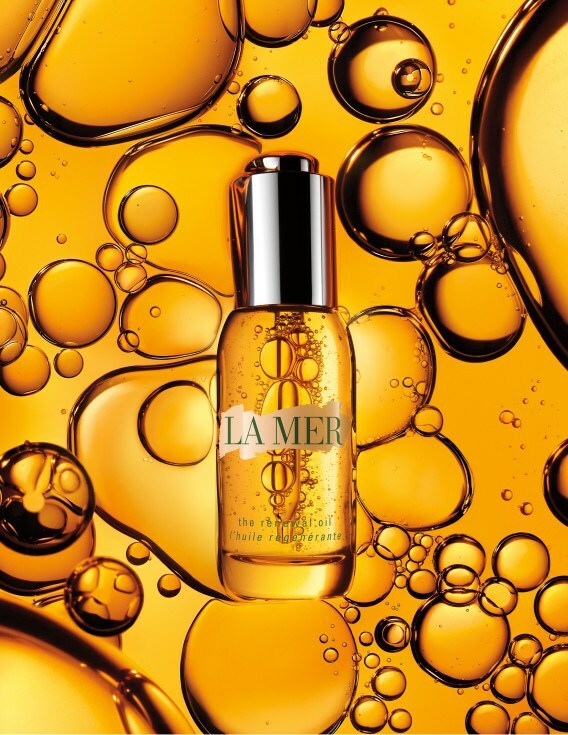 Which brings me to their newest release, the revolutionary golden drop known as The Renewal Oil. I love a truly luxe beauty item – it stirs the senses and the emotions like you wouldn’t believe, and at every turn you feel like you are allowing yourself that little bit of time for extra pampering i.e. true ‘me’ time in every sense of the word. 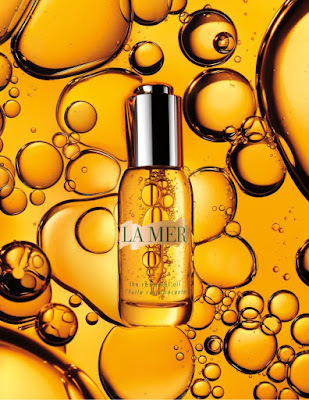 I also love the feel of using oils on my skin – face and body – and news that a brand as luxurious as La Mer were introducing an oil to their carefully curated collection was always going to get me very excited. I must admit I was a little surprised that it took them this long to get an oil on the market, given the enormous rise in popularity that they have seen in the past few years, but judging by my initial use of the multitasking new formula, I think it just may have been well worth the wait. The new silky, multi-faceted elixir infuses skin with what the company calls “the look of youth” and inspires endless possibilities due its status as a true beauty multitasker. Miracle Broth – the aforementioned legendary sea-blend at the heart of Crème de la Mer – and sea-sourced actives are bought together in the formula, working in tandem to help to renew and energise the look of skin. The truly dual-phase elixir unleashes what can only be called a “wave of activity” (seafaring pun intended) in the skin, with collagen production improving dramatically to help soften the look of emerging lines and wrinkles while visibly firming skin. It also smells like pure heaven, so just the ritual of its application is a real selfcare moment in itself. To use, start by gently shaking the bottle to activate the Miracle Broth. Sweep 3-5 drops over the face and neck morning and evening, or if you’re feeling particularly indulgent massage the nourishing formula into hair, cuticles and dry areas of the body as needed for equally stellar results. You can even add a drop or two to your favourite face cream for a boost of hydration, as the special formula is not your usual heavy-duty oil but rather a versatile and lightweight take on a major beauty trend. Impressed? I was, and I don’t think I’m alone in falling head over heels for the stuff. There is nothing like the scent of a freshly chopped Christmas tree to get you in the mood for a carol or two, but along with that comes dropped needles, hay fever and the inevitable question of where to dump the damn thing once it is past its prime. 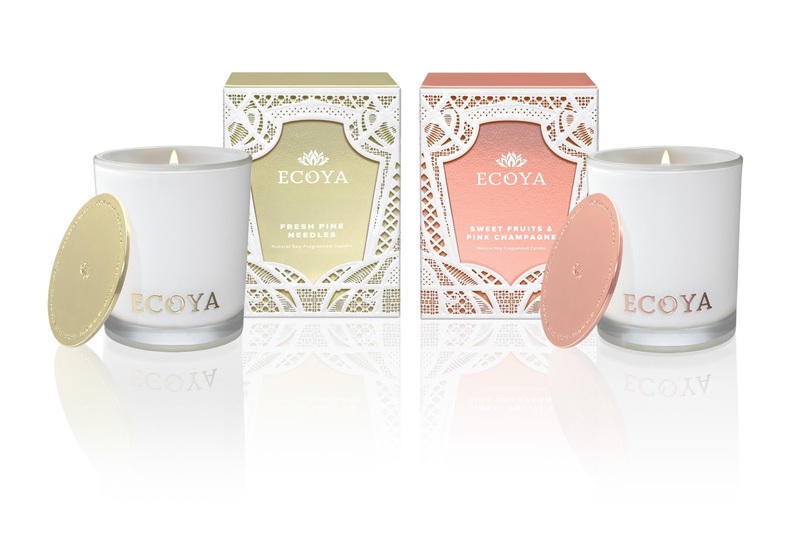 The solution – and an incredibly delicious solution at that – is picking up one (or two, or three) of Ecoya’s Fresh Pine Needles candles, one of two options from the locally-based home fragrance specialists loved by people all over the world. Released each year, Fresh Pine Needles takes me back to every Christmas I've ever been a part of, seriously. Notes of fresh pine needles enhanced with the richness of newly sawn forest woods are perfectly rounded with citrus and rosewood, making for a fresh and beautiful scent that will linger long after Christmas has passed. It is one of the most evocative scented candles I have every burned, and one I invest in every year. Ecoya has also released a Christmas limited edition candle for those that love things a little fruitier, in the form of Sweet Fruits & Pink Champagne – an absolute stunner. The sparkling, passionfruit perfume blends perfectly with fruity sweet notes of pink grapefruit and guava, and is reminiscent of all of those perfectly blended summer cocktails that make the season merry. An absolute winner in my humble opinion, I recommend one for you and one for a friend! The packaging for these special Christmas candles is also absolutely stunning as per, with a white lace overlay on the gold metallic box for Fresh Pine Needles and Sweet Fruits & Pink Champagne housed in a beautiful rose gold metallic box with the same white lace overlay. They are available in full and mini size Madison Jars as well, the latter making for brilliant stocking stuffers at just NZD $24.95. 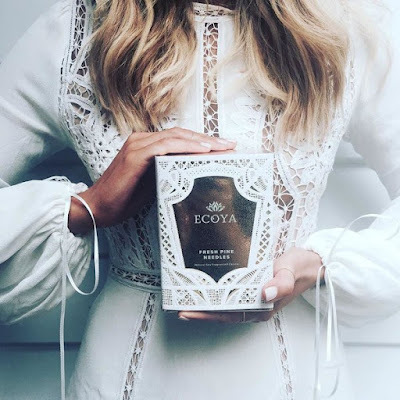 New Zealand-based fragrance specialists Ecoya are our very own masters of gifting in my humble opinion, creating beautiful seasonal scents and lust-worthy gifting options of their own each year. 2015 is definitely no exception, so get out there and grab them while you can! Wellness Retreats NZ founder Melissa Carroll is a happy woman. On the cusp of her final retreat for the year when we spoke, she has spent eighteen months gathering inspirational and talented wellbeing professionals, like-minded brands and fabulous venues to create balanced days of wellness. Set in luxurious surroundings, these retreats comprise practical workshops, educational seminars, yoga, meditation and optional one on one consultations to help nourish body, mind and soul, and are the perfect regular “check in” if you’re on the path to wellness. I experienced one a couple months back at Ponsonby’s Sapphire Room, and came away inspired, informed and reminded why my own self-care needs to be shifted to the top of my list if I’m going to benefit those around me. Each retreat has a different theme and a different mix of speakers, and are held in beautiful locations like Matakana, Waiheke and Ponsonby. A delicious nutritious lunch and refreshments are served during the day, using a culinary philosophy that draws together the fundamental elements of good eating incorporating fresh ingredients, wholefoods and gluten, sugar, wheat free cuisine. Guests leave with a goodie bag filled with lush products from retreat sponsors and a toolbox full of inspiration and motivation to make healthy changes in life. How great is that? 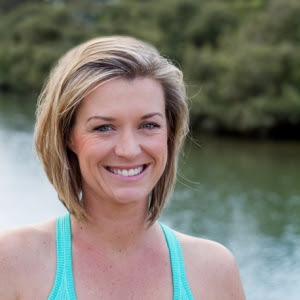 Mel’s own personal journey to overcome chronic/adrenal fatigue led her to create the Wellness Retreats NZ brand, and she says her aim was always to “inspire, motivate, nurture and educate guests to boost their wellbeing and lead happier, healthier lives”. As a living, breathing example of a truly glowing human, it is obvious that she practices what she preaches. Mel’s own journey began after hitting rock bottom several years ago when she was bed bound due to chronic fatigue. She made the decision to put her health and wellbeing first, turning to natural health and self-healing to get her back on the path to wellness. When she was finally back on track her experiences lead her to a role in health and wellness managing a surf and yoga retreat – Escape Haven (then called Surf Haven) in Bali. She says the chance to focus on her own health whilst managing the retreat really opened her eyes and confirmed that it’s this industry that I had finally found my passion for. 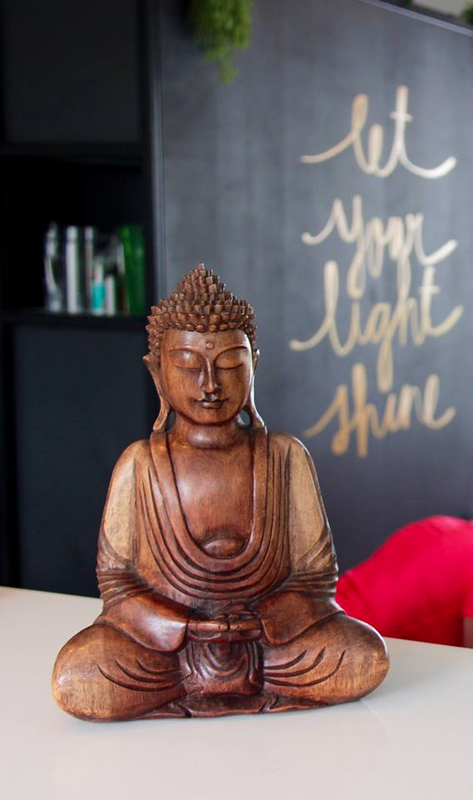 It inspired her to embark on yoga teacher training, and at the beginning of 2014 the idea for Wellness Retreats NZ was a very real dream. “I had a real desire to give others the tools I had been given to make change,” she explains, “and really open their eyes to the fact that even if they too have hit rock bottom, they can come out the other side.” She cites her inclusion of yoga in many of the day-long retreat programs as a great taster for those who have never tried the practice before. The retreats also give attendees the chance to hear a variety of wellness practitioners and determine which kind of professional they might like to see one-on-one for nutritional, naturopathic or general wellness advice, where they might be feeling a bit lost. In addition to the daylong retreats, she is also developing corporate retreat programmes, taking the retreats to the boardroom or offsite. “We provide a service that aims to help people unwind, de-stress, re-energise and obtain skills to help balance stress and a busy life with overall wellness capabilities,” says Mel, which is exactly what every corporate-dweller I know needs. Wellness Retreats NZ’s corporate programmes are tailor-made to ensure they meet each companies' own needs, and thus far they have delivered some amazing results. They offer daylong or weeklong programmes, and also half days for those wanting an intensive wellness session to kick off a busy time. A great focus for these programmes is redefining your body’s response to stress, “and giving the people who take part the tools to implement change in their work and personal lives”. And who doesn’t need that now and then? I heartily recommend. When Kendall Jenner was unveiled earlier this year in her first fragrance campaign as the face of Estée Lauder Modern Muse Le Rouge it was instantly a match made in heaven. 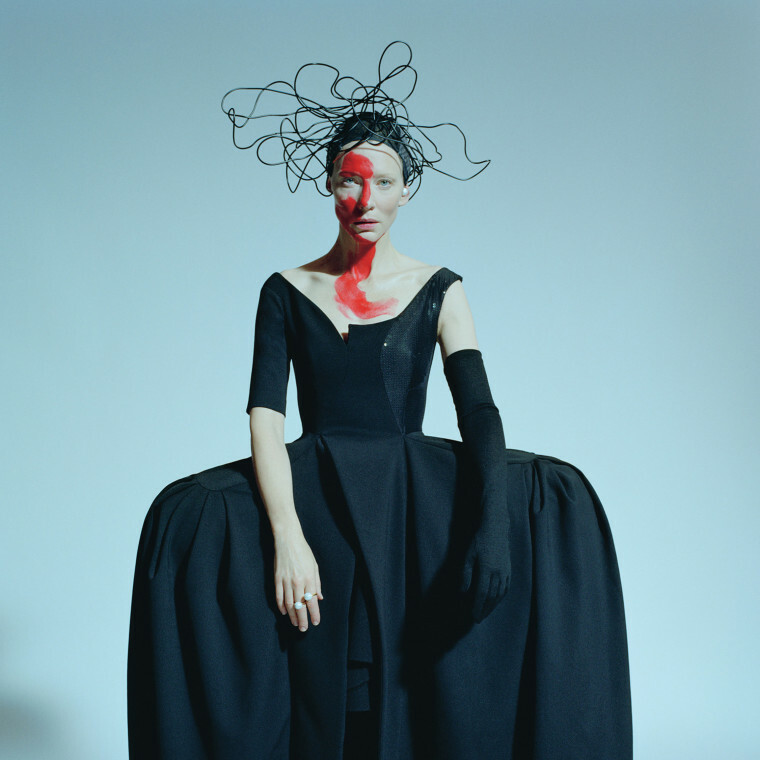 “It was not just about capturing the scent of red, it was about capturing a state of mind, a vibrant, dramatic attitude,” said Karyn Khoury, Senior Vice President, Corporate Fragrance Development Worldwide, The Estée Lauder Companies at the time. 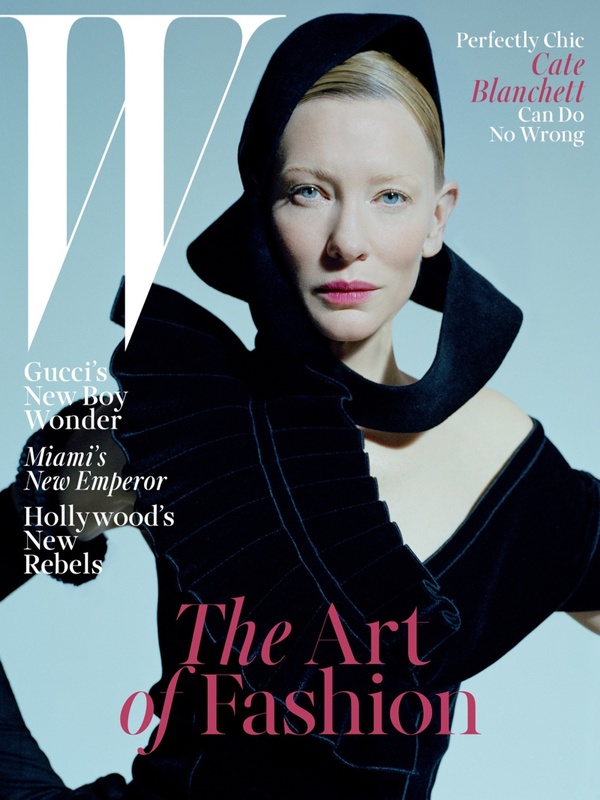 “This woman inspires others through her unwavering confidence, glamour and sophistication. 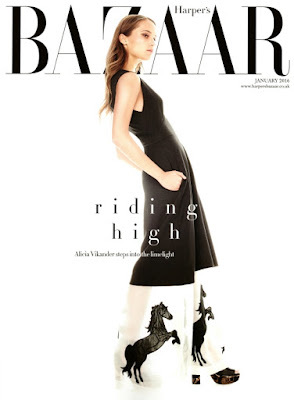 She lives her life to be noticed – and every ingredient in this scent was carefully selected to reflect that.” That is Jenner to a T, and she has gone on to be one of the iconic brand’s most successful ambassadors to date. What is your signature holiday beauty look? Your five holiday beauty must-haves? Why do you think fragrance is the perfect gift for the holiday? It’s cold and you need to cuddle with someone, so you better smell good! What is your favourite thing about the holidays and why? I love the love that's in the air and the magic that you can feel! Where are you spending the holidays? Are you traveling anywhere? I haven't planned anything yet, but I love being home with my family. Do you have an annual holiday tradition? We have an annual Christmas Eve party at my mom’s house every year. How do you stay fit with all the holiday parties? Any secrets you can share? I try to stay fit by just going to the gym when I have the time and not eating ALL the cookies I see. What are your favourite places to shop for gifts and why? I love going to Barney's to buy gifts because they have everything! Plus it’s always christmas-y! What is your favourite type of gift to give? I love giving sentimental gifts. What is the perfect housewarming gift for the host of the party? Great bottle of wine or a nice decorative blanket. What is your favourite holiday song? Anything Babyface— it’s so good! What is the number one gift on your wish list this year? Hmmm, I haven’t thought that far yet. Let me keep you posted. What is your attire for holiday cocktail parties? What is your favourite holiday film? My favourite holiday film is The Grinch… When his little heart grows! What is your favourite holiday food? I happily admit to the fact that I hate washing and blowdrying my own hair. Loathe it. Will do anything to avoid it in fact, which is why I have an extensive collection of dry shampoos. When Dry Shampoo first hit the beauty industry with a bang a few years ago (after years of trucking along quite nicely thank you as an underground product), I swear I tried every one under the sun. Some were incredibly pricey and others not, whilst some were highly effective whilst others were little better than a sprinkle of talc – and just as obvious. One of the first I tried – and an instant favourite – is KEVIN.MURPHY FRESH.HAIR. A dry cleaner for the hair that gives body and texture, removes odours, excess oil and the like, it has been a go-to of mine ever since. I fear however, that it may have been superseded… by a fresh new product from the company of the same name! 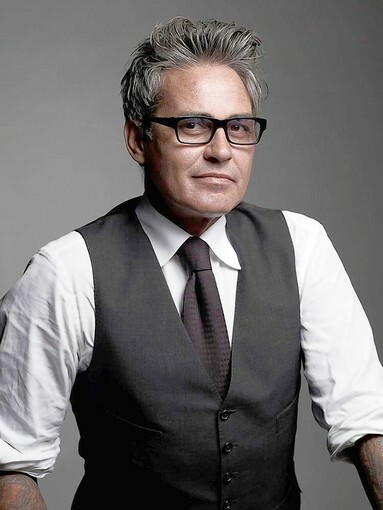 The amazing KEVIN.MURPHY - still heavily involved with the superstar hair stylist and founder of the brand, Kevin Murphy – has launched DOO.OVER, a styling product that utilises the attributes of a styling powder and a flash drying hair spray. Providing volume, texture and a lasting hold,DOO.OVER is designed to revive a blow dry or extend the life of second-day hair, offering an instant “hair doo” in a can. How great is that? DOO.OVER uses a powder technology that joyfully won’t create a web of resin in the hair – allowing you to recreate and re-form new looks and shapes. It’s also built for all hair types and lengths, and can be used by both men and women. The key ingredient is Tapioca Starch, which gives hair a soft, velvety feel while simultaneously helping to remove excess moisture and oil. Virginian Cedar Wood is in there working hard as a gentle astringent and antiseptic, similar to a skincare toner but designed for hair. 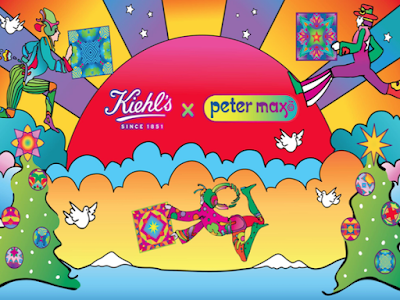 Patchouli adds a light, fresh scent while Silica increases body and sheen. DOO.OVER can be used on dry hair at any time or as a finishing spray immediately after styling. Spray lightly directly on roots for an instantaneous “doo” over, too easy. On and also, for every can of DOO.OVER sold, a financial contribution will be made to help reduce global carbon emissions. Love that. A few years ago when I was visiting London, a very respected makeup artist friend gave me some sample bottles of his favourite self-tanning products – James Read Tan. He's an incredibly fussy sort so I knew they would be good, just how good pretty much blew my mind. James Read himself is a self made "tantrepreneur" whose products now regularly sell out on Net-a-Porter and whose skill at creating honey hued limbs is legendary. The go-to guy whenever a celebrity or model needs to take the pallor out of her skin, Read’s client list reads like a Who’s Who of the red carpet, from Mariah Carey to Lady Gaga and Lara Stone. It was inevitable that he would go on to create his own self tanning range, and in 2012 it launched in the UK and is finally available down under at Mecca Cosmetica. Hurrah! "I have dreamed of having my own product range from the very first day I started working in the self-tanning industry 11 years ago," he told UK Vogue back at the time of the James Read Tan collection’s release. 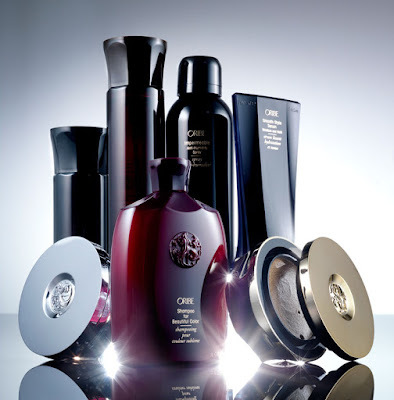 "I wanted to create a range of luxury products that give the skin a natural, healthy-looking colour, but also protect the wellbeing of the skin by using anti-ageing ingredients in the formulations." Read worked on the range - which includes fragrance-free liquid, gradual and wash-off tans, as well as an innovative gradual tanning pen - for two years, with the help of former Vogue beauty director Anna-Marie Solowij and her business partner Simon Turnbull. The end result is a carefully curated collection of essentials that are beautifully formulated, highly effective and – most importantly – super easy to use. Read has formulated his products with conditioning ingredients to suit every skin tone in one universal shade, and the possibilities really are endless. The product from the collection that I have on high rotate at the moment is the Instant Bronzing Mist - an instant tanning mist that imparts a smooth golden glow. The technically advanced 360-degree nozzle means application is a cinch with a decent glove, too. Whisper light and in the aforementioned universal shade to suit all skin colours, the mist continues to develop over 3-5 hours on the skin, lasting up to 5 days. It has been formulated with Aloe Vera to hydrate, Vitamin E to help protect against UV damage and Co Enzyme Q10 to help to reduce the signs of wrinkles, and is pretty much magic in a bottle. Next on my wish list is the Tan Extending Sleep Serum, a regenerating and repairing serum that delivers complexion-beautifying results whilst extending the life of both a fake and natural tan. Formulated with Aloe Vera to hydrate, Melano Bronze to prolong a tan, Monk's Pepper to boost skin regeneration and Milesis to target the look of ageing, it is a colourless formula that helps to soften skin and even out skin tone. Genius. Check out the range online at Mecca Cosmetica here. I have long wanted a FitBit or similar for tracking my exercise freak tendencies, but for some reason have never got around to actually buying one. I’ve also been casually hunting for a timepiece that’s a little sleeker than my go-to black Baby G watch but again, have never found the right match. Luckily for me then that those wonderful types at Stolen Girlfriends Club have collaborated with the techie people at Samsung to create the collaboration that really is an answer to my prayers: the STOLEN GIRLFRIENDS CLUB X SAMSUNG Gear S2 Watch. 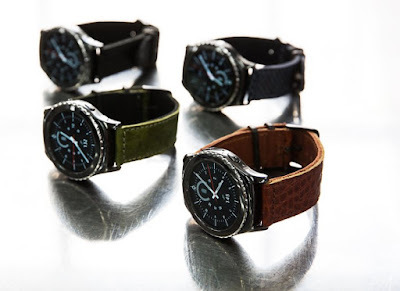 Samsung partnered with New Zealand fashion label Stolen Girlfriends Club to release an exclusive capsule collection of four customised leather watchstraps, which definitely look better than your average smart watch. The straps, designed to be fitted to the Gear S2 classic, are available to consumers as an exclusive gift with purchase for a limited number of Samsung customers. The evolution of Samsung’s wearable technology is marked by the simplicity and practical functionality of the turning watch face bezel – a first for all smart watches and innovation led by Samsung. A huge bonus for a relative luddite like me, the Gear S2 rotating bezel allows you to move between screens and applications and navigate content super easily. The Gear S2 allows you to reply quickly to notifications like txts and Facebook messages pushed through from your mobile phone, so you can stay in touch with the quick turn of the bezel. The ability to preset frequently used replies makes it easy and practical to communicate too.It also allows you to skip to your favourite track or zoom in on a map, meaning greatly increased functionality all round. But back to my desire for a FitBit, which is now satiated. The Gear S2 packs in an awesome array of health and fitness tracking features, with more coming all the time. Samsung’s S Health app logs your daily steps, monitors your heart rate, and helps you track both water and caffeine (yikes!) intake. Other fitness apps include Nike+, Running, letting you map runs and track your progress without having to drag your Smartphone along. I have been using these features religiously at the gym and when out walking, and have to say I have been pretty impressed at my progress! On a purely aesthetic level, not only does the Gear S2 feature interchangeable straps, you can customise your watch face to suit your mood or outfit. You can Choose from designs on the Samsung Gear App, or create your own using your favourite images. Lastly, the (very small and travel friendly) wireless charging dock ensures that recharging your battery is simple and easy. The Samsung Gear S2 already has 2-3 days’ battery life, making the little devil truly a smart - and good looking - piece of wearable technology. The special edition Samsung x Stolen Girlfriends Club watch straps for the Gear S2 Classic are available as a gift with purchase for Gear S2 Classic customers for a limited time only. For more information visit Samsung.com/nz. Gear S2 Classic and Gear S2 are available for purchase now from Samsung.com/nz or from selected national retailers. With all of the above in mind, it takes a lot for a cleanser to really impress me, but one I’ve just started using really has! 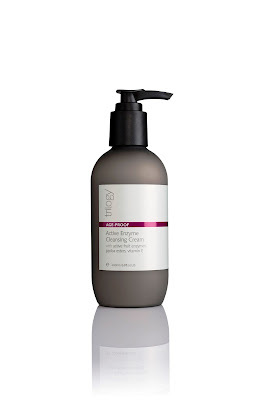 It’s the a newly repackaged release from all natural New Zealand skincare stars Trilogy, and is called Age-Proof Active Enzyme Cleansing Cream. It is a unique blend of active fruit enzymes and pure plant oils that gives you a nice mix of luxury and efficacy. “Cleansing your skin is one of the most important parts of a beauty routine. It preps your skin for all other treatments,” Trilogy in-house beauty expert Corinne Morley advises, and I couldn’t agree more. 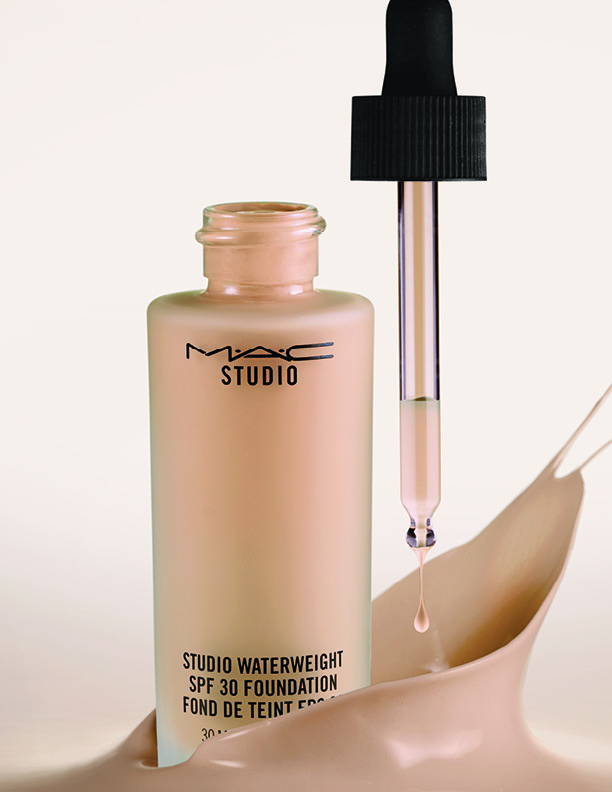 Repackaged in a larger, 200ml frosted grey pump bottle for ease of use, the silky, mousse-like formulation gently re-texturises and renews the complexion, polishing away the build-up of skin-dulling impurities to reveal smooth, refined skin with a youthful radiant glow. It’s the perfect cleanser choice for me at the end of the day, when I want to remove everything from my skin that the previous twelve or so hours has thrown at it. Active fruit enzymes in the form of papain from papaya and bromelain from pineapple are in there to help to regenerate the skin without exfoliating viable cells. Papain and bromelain break down and loosen dry, damaged or older cells from the skin’s surface, revealing brighter skin whilst going easy on what lies beneath. Bromelain also helps promote elasticity and reduces inflammation for a smoother, more even skin tone. Licorice and mulberry help with brightening, while jojoba esters smooth and reinforce the epidermis. Vitamin E, a vital component for healthy skin, is also included to nourish and help fight free radical damage. This cleanser is basically a nice balance between thorough cleansing and gentle daily exfoliating action, and leaves the skin perfectly prepared for maximum absorption of serums and creams. Certified natural under the internationally recognised NATRUE standard, Trilogy Age-Proof Active Enzyme Cleansing Cream is listed in Fauna & Flora International’s Good Scrub Guide. The guide was launched to help skincare buyers identify products that use safe, natural alternatives to plastic microbeads, which are a significant contributor to microplastic pollution in our oceans.